North Korea continues its hostile rhetoric and saber-rattling prompting concerns over their nuclear capabilities. Also, do today’s job numbers signify a cooling economy? Plus, momentum for new immigration legislation and this week’s political wrap-up. Joining Gwen: David Sanger, New York Times; David Wessel, Wall Street Journal; Fawn Johnson, National Journal; Amy Walter, Cook Political Report. A rocky new jobs report. Why have so many Americans stopped looking for work? Escalating tensions on the Korean Peninsula. SECRETARY OF DEFENSE CHUCK HAGEL: (From tape.) It only takes being wrong once, and I don’t want to be the secretary of defense who was wrong once. So we will continue to take these threats seriously. MS. IFILL: Will threats lead to military action? Closing in on compromise on immigration reform. SENATOR CHUCK SCHUMER (D-NY): (From tape.) I am very, very optimistic that we will have an agreement among the eight of us next week. MS. IFILL: Is Congress ready to act? HILLARY CLINTON: (From tape.) When women participate in the politics of their nations, they can make a difference. MS. IFILL: – sending political odds-makers into overdrive. Covering the week David Wessel of the Wall Street Journal, David Sanger of the New York Times, Fawn Johnson of National Journal, and Amy Walter of the Cook Political Report. MS. IFILL: Good evening. Just when it seemed the economy was on a reliable upturn and jobs were returning for good, comes unsettling news today. Instead of the 200,000 new jobs economists predicted for the month of March, only 88,000 were added. And even though the unemployment rate dropped slightly to 7.6 percent, that was because a lot of people have apparently just given up looking for work. So why are things so unstable in this economy, David? DAVID WESSEL: Well, Gwen, you’re right. It was an unambiguously bad report, at least until the government revises it a month from now, as they have a habit of doing. New jobs were created at half the pace we’ve seen for the last six months and the unemployment rate fell, as you pointed out, only because half a million people left the labor force. And the reason it was so disturbing was that it comes in the midst – a time when actually the other economic data was looking pretty good. Auto sales are up. Housing is coming back. That’s helped construction employment. One out of every seven jobs created in the last six months has been in housing. The stock market had a bad week this week, but it’s up more than 10 percent so far this year. So I guess the question is what happened, what went wrong. MR. WESSEL: I think there’re a couple of things. One is there is the revision question. In 10 of the last 14 months, the government has revised up its initial estimate. MS. IFILL: So it looks better than it seemed. MR. WESSEL: Right. It may be that, you know, the numbers were a little strong in January, February, a little offsetting in March. The second thing is, and this is really unfortunate, is Washington is really a minus on the economy. It’s hard to see that the sequester, the across-the-board spending cuts had any big effect yet, no direct effect. It looks like the payroll tax increase that hit at the first of the year is beginning to work its way through retail employment, which is sensitive to what people spend, was down some. The second thing that might be going on is that – or the third, rather – is that employers are just a little uneasy and – back to that thing about the wait and see thing. And when all the employers collectively wait and see, you get these bad numbers. MS. IFILL: That’s your silver lining? Wow. MR. WESSEL: The unemployment rate in Europe is 12 percent and the number crunchers in Europe said this week that in Spain the rate of unemployment among people under 25 who are looking for work is 56 percent. DAVID SANGER: David, you mentioned that sequester was not a big factor yet, but there doesn’t seem to be any urgency right now to solve the sequester problem and the White House has made the case that this will have a corrosive effect month to month. MR. SANGER: Anything in these numbers that would suggest that in fact we’re either beginning to see that or that that could get in the way of reversing us? MR. WESSEL: Well, it’s definitely the case that it’ll get – make effect going forward. It’s really hard to find on these numbers. Government employment, excluding the post office, was down about 2,000 that’s kind of lost in the noise. If it’s having an effect, it may be in some contractors who are not hiring, it’s hard to see. But you’re absolutely right. The White House, I think, made a miscalculation. They said the world was going to collapse if we hit the sequester. We did. We’re stuck with it. But it will definitely have a contractionary effect as we go forward, and we’ll probably see some furloughs and layoffs in the months ahead. AMY WALTER: We know so much about the unemployment rate, but one thing we don’t care a lot about are wages and the impact there. And are consumers able actually to help dig us out of this? MR. WESSEL: That’s a good question. Basically, when you have this many unemployed people, 12 million unemployed people, employers don’t have to give raises because there’s always someone willing to do the job. Wages have been absolutely flat. Some months are a hair above inflation. Some months are a hair below. But there is absolutely no progress on wages, and that does make it harder for people to spend. FAWN JOHNSON: And is there anything that this will affect with the Federal Reserve policy? Is there anything they can do – or the Congress, the president can do? MR. WESSEL: Well, what the Fed has said is they’re going to buy a lot of bonds, $85 billion of bonds each month until they think the unemployment rate has come down to about 6.5 percent. Before this report, there was a little bit of whispering from the Fed that maybe they would begin to reduce their purchases, take their foot off the gas pedal a little bit. My guess is that this has destroyed that stuff and that the Fed will be doing everything it can. As for Congress and the president, there’s 100 economists who have 150 ideas of what they should do, none of whom will be accepted. MS. IFILL: Could I ask you a cosmic question about this? MR. WESSEL: A cosmic question. MS. IFILL: Cosmic question. These jobs that people have stopped looking for, are they gone forever? Have we – do we just have to get used to an economy that has – doesn’t have the kinds of jobs it used to have and that – not that more people will be unemployed, but that the market just won’t sustain it? MR. WESSEL: Well, I don’t think that we’re going to have a permanent underclass of unemployment. I mean, we’ve gone through this before when we went from the farm to the factory. People said where are all the farm workers’ kids going to work. And when we automated the factory, there was all this worry in the ’60s about mass unemployment. And we came up with jobs that who would have ever imagined them? Web designers and massage therapists and stuff. So I don’t think we’re going to run out of jobs until we run out of imagination. But it doesn’t mean there’ll be good paying jobs. And the worry is now that we’ll create jobs, but they won’t be very good. There’s almost 300,000 college grads who are working at minimum wage jobs now. That’s double what it was before the recession. MS. IFILL: Is the other option then that we’re on a spring slump and this is something we’re going to just grow ourselves out of? MR. WESSEL: Yeah. Because we – it seems every year, we have a strong start of the year and then there’s a slump. Some of that was in the noise, the civil noise. We’ll see. I think the betting right now is that the first quarter was pretty strong and the second quarter is going to be a little weaker. MS. IFILL: OK. Thanks, David. Now, to the escalating tensions on the Korean Peninsula. Scarcely a day passed this week where threats were not issued, either from North Korean leader Kim Jong-un or from the U.S., which moved advanced missile systems to Guam to fend off potential attack. White House Press Secretary Jay Carney had this to say today. PRESS SECRETARY JAY CARNEY: (From tape.) We have seen them launch missiles in the past and the United Nations Security Council has repeatedly condemned them as violations of the North’s obligations under numerous Security Council resolutions. And it would fit their current pattern of bellicose, unhelpful, and unconstructive rhetoric and actions. MS. IFILL: He keeps using those three words: bellicose, unhelpful, unconstructive. Is this is all bluster, David, that we’re talking about from both sides? MR. SANGER: Well, there has been a lot of bluster from both sides. Whenever you’re dealing with North Korea, bluster is always a big part of it. But there’re also some things here that are different and that’s what’s worrisome. So it’s worth sort of separating out the two. On the bluster side, the North Koreans putting Kim Jong-un in front of a big map, showing the United States, and when you translate out from the Korean is like nuclear strike locations. If you remember back in the Cold War, people didn’t usually announce it – (laughter) – before they were going to do a nuclear strike. So – and we don’t think they’ve got any missiles that can reach any place close to the U.S. In fact, there’s some doubt about whether they could reach as far as Hawaii. And with this president in place, probably Hawaii wouldn’t be a good place to start off. On the other hand, they have shown that their missiles are of growing range. They have now conducted three nuclear tests. It looks like the most recent one was successful. There’s no evidence that they can put a nuclear weapon on top of a missile, but sooner or later, they will get there. And the bigger issue here is that for a decade and a half every American president has kicked this problem down the road. We spent time dealing with Iraq. We spent time dealing with Afghanistan. And through it all, the North Koreans build on and on and on. And now, you’re at the point where they actually do have some capability and by some estimates will be able to reach United States in a few years. MS. IFILL: So we should be more worried than we have been with previous provocations? MR. SANGER: I think you’ve got to be more worried because the mystery in all of this is Kim Jong-un himself. He clearly has to somehow impress his own military leadership. And we don’t know quite what that’s going to take. But they look at him and they see a 28-29-year-old who is completely untested and he’s got to show what he can do. In South Korea, we have a new president, President Park, who is the daughter of a long-time South Korean strongman. We also don’t know how she will react. She’s only been in office for a few weeks. This is when mistakes get made, when you get people who are inexperienced and need to prove themselves. MS. WALTER: So if it’s not us that he decides to attack, where else could they go? MR. SANGER: Well, he’s never attacked the United States, you know, in any kind of direct way. The North Koreans usually have not. They did sink the Cheonan, a South Korean ship, but it took months to figure out that they were hit by a North Korean mini-sub and torpedo. And there was no retaliation. They did shell a very lightly populated island about three years ago. Again, the South Korean response was quite ineffective. That’s why many people think that President Park, if there’s a similar strike again, is going to have to respond. MS. WALTER: I know they’re trying to get us to respond, us meaning the U.S. to respond to any provocation anywhere in the area. MR. SANGER: You know, it’s probably likely that they would try a provocation that would stop just short of getting the U.S. into a response. And the big concern you hear in the Pentagon is what stops the escalation. If they do something minor, the South Koreans strike back, and then suddenly you’re into something, and we don’t all understand this evenly. And they cut all the communication lines to South Korea. So there’s that escape valve of being able to talk. MR. WESSEL: What role do the Chinese play in all of this? Are they on our side to try and restrain North Korea or do they see North Korea as kind of good to keep them there, so we don’t get too close to their border? MR. SANGER: A little bit of both. The traditional Chinese position – of course, the Chinese were big supporters of North Korea during the Korean War and for the decades that followed. Traditional position has been that North Korea is a buffer that keeps the American troops and the South Koreans away from the Chinese border. But clearly, if you listen to what the Chinese are saying these days, they are getting tired of a lot of these acts. They’ve got now significant economic investments with South Korea. And so they’ve got to choose between a North Korea that’s starving and always wants money and always wants oil and a South Korea that can provide them with Samsung cell phones. And that’s a very big difference. The question is are they really willing to turn the screws on the North Koreans. And there’s only way to do that. It’s to turn off the oil. MS. JOHNSON: And you had also mentioned that this is something that most presidents have kicked down the road, meaning that it’s not top priority. So has North Korea now risen to top priority, or do we have other – other countries need to worry about, like say Iran. MR. SANGER: Well, Iran is a long-term problem because of the region it’s in and because if they actually did get a weapon, it could well turn – start proliferation throughout the Middle East. North Korea is a lot more urgent in that they already have weapons. They already have missiles and they’re more unpredictable. MS. IFILL: The red line has already been crossed. MR. SANGER: It was crossed so long ago people can’t even see it in the rearview mirror. 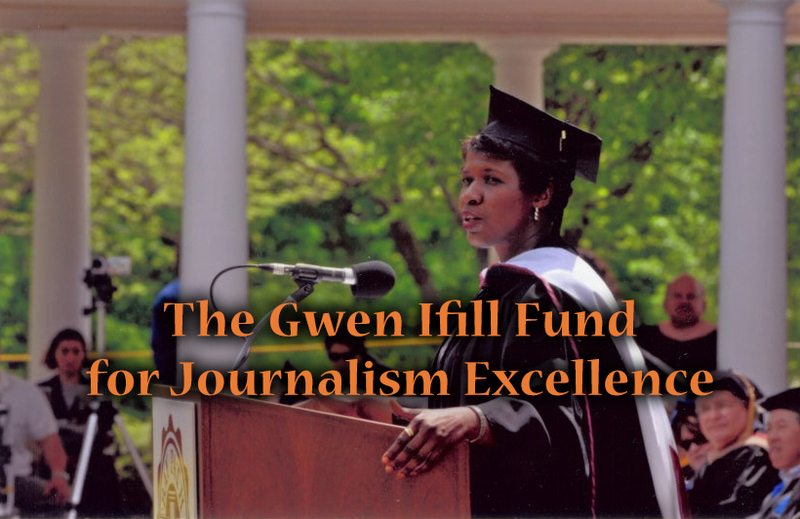 MS. IFILL: Thanks, David. While jitters were building in Asia, the United States Senate seemed to be on the verge of a rare outbreak of agreement on immigration. The bipartisan Gang of Eight – there’re always gangs, I believe – signaled that they have ironed out the details of a sweeping compromise, but the deal is far from done. Where does it stand tonight, Fawn? MS. JOHNSON: Well, we’re going to find out a little bit more when the Senate returns next week. The senators, the gang left before the Easter break with the expectations they were going to have inked out the entire proposal and then they’re just going to have their staff put it on into legislative language. That didn’t happen because of a last minute walk out. Nobody’s quite sure what happened, but the dispute was between labor and business on the – what they call the future flow. This is the future low-skilled workers who are going to come in from other countries. MS. JOHNSON: Temporarily. Well, actually, temporarily, but with the option to stay if they would like to. MS. IFILL: But labor didn’t want that. MS. JOHNSON: Right. Labor – labor is concerned about a number of things. It gets very complicated very quickly, but the broad – the broad brush of it is that in 1986, President Reagan legalized 3 million undocumented immigrants who were here doing these kinds of jobs, but did not create way for a future set of people to come in and do that. So now we have 11 million undocumented immigrants. Now, we’re talking about doing the same thing, but we need to come up with a way to deal with what they call the future flow. The problem that labor has is that they don’t want to see too many of these foreigners come in and take these jobs that they think should by rights go to Americans. So it’s this big back and forth and what the Gang of Eight has done is they have said labor and business, i.e. AFL-CIO, U.S. Chamber of Commerce, you guys figure it out. We’re going to have some sort of program like this. You work out the details and we’ll put it in the bill, which is what they’re doing. And I don’t think they’re too far off, but they’re still tugging on the numbers. MS. WALTER: And he’s the guy that we spend so much time talking about. He’s supposed to be the leader of this gang. And yet, he was the one who sort of broke out first and foremost saying this isn’t a done deal. And the second thing is about where the House fits into all of this because that’s really where the hardliners are. And that to me seems like the hardest place to get an immigration bill through. MS. JOHNSON: Right. Well, and it’s a two-part question, but it’s also – it’s being performed in two different parts. Actually, I would not say that Marco Rubio is the leader of this gang, that that falls more to Chuck Schumer from New York and John McCain from Arizona. But what the role that Marco Rubio plays is the linchpin. If he walks, the deal dies. And he’s well-aware of that. So part of what he was doing over the last week, when Lindsey Graham, who’s another member of the gang and Senator Schumer were trying to say there is a deal, there is a deal, hold on, no, no, no, not done yet. And we need Marco Rubio in the room because without him he can’t bring the rest of the sort of conservative tea partiers with him. MS. IFILL: Including these House members. MS. JOHNSON: Right. And that’s the next phase of this, that there’s – there’s a couple of members in the House – Raul Labrador from Idaho is from what I can tell is the real leader of the tea partiers in the House. And all of them are watching what he’s doing. I think he is willing to talk about it in much the same way that Marco Rubio is, but they’re all waiting to see what happens in the Senate. There are negotiations going on there. They are secret, but they’re about as secret as anything is in Washington. MR. WESSEL: So what are the one or two things that have to be worked out for this to go from talks to legislation? MR. WESSEL: This is because certain things happen once they declare the border security. MS. JOHNSON: Right. Right. So there’s a border security element to that. The other thing that has not been resolved, and this is the place where unions and business are negotiating is what are the overall numbers? How many new immigrants can we accept into the country on any given year? What they’re talking about doing is having some sort of economic model, wherein, when the need goes up, you allow more people to come in and when the need goes down, fewer come in. But the last I checked, the numbers were very far apart. So you’ve got the AFL saying 20,000 is OK and you’ve got business saying we need 300,000. MR. SANGER: You mentioned Chuck Schumer before. How has his role changed? It seems like there’s a little bit of a different Chuck Schumer role than what we’re accustomed to. MS. JOHNSON: Well, I think he’s trying to fill the old role of Senator Kennedy, who – who negotiated every other immigration bill that has been in existence since 1965. So this is – it’s hard to fill that role, but that’s essentially what he’s trying to do. He’s a real dealmaker and he’s also very good at tugging a group of people who disagree together. And he’s famous for doing things like scheduling press conferences right before they actually have a deal to say that we have a deal, so that people will say that they have a deal. And I think that his – that’s really been his role there. MS. IFILL: – on the webcast. As they say it. They’re calling a press conference saying – (inaudible). Finally tonight, speaking of politics, politics. At the beginning of the year, I promised – I promised we would resist talking about the 2016 campaign for as long as we humanly could. Well, we no longer humanly can. Time ran out this week as Hillary Clinton popped up on the same stage with Vice President Joe Biden and stirred the pot vigorously. So Amy, walk me through the tea leaves. Is she running or not? MS. WALTER: We really did break our code, didn’t we? MS. WALTER: I know. It’s too hard. We’re only human. MS. WALTER: Right? So everything that Hillary Clinton does between now and 2016 is going to be analyzed to death. If she blows her nose, we’ll want to know what kind of Kleenex and what that means about is it a Kleenex from South Carolina, does that mean she’s – (laughter) – (inaudible) – right. So you know, I think we’re really looking at three big things right now to give us a sense about whether or not she is very serious, she’s definitely in, or she may not do this. The one is talking about issues, which issues does she decide to talk about and which ones does she stay silent on. I think it was very important that she went and put a six-minute video together to explain her change of position or “evolving” is the new term from politicians now, on gay marriage, right? That was the one issue where she was to the right of the Democratic base. What other issues are we going to see her come out? And remember, unlike other politicians who may run, she doesn’t have an office right now. So she has a lot more freedom, theoretically, to go against – either against her party or where she needs to go with her base. MS. WALTER: I don’t know if he actually said Ferrari, but it was something to that. MR. SANGER: He thought it. MS. WALTER: Something to that effect. And then the last thing is, you know, how she chooses to make money and spend her time. We saw Mitt Romney go off the campaign trail and go right back to where he left off, right? He went back onto the board of Marriott. He went back into venture capital with his son. He’s clearly signaling I’m never going back into politics or I’m doing the same things I was always doing and that was a problem for me in the general election. Hillary Clinton, does she just go on the speech circuit? We know she signed a book deal. So is that what she’s going to be spending her time doing? Does she want to go make money? And if she does, where does she go do that ad what sort of potential pitfalls are there from where she goes to make that money? MR. SANGER: Amy, as we’re watching all of us look at this too early, everybody’s thinking it’s in her interest to wait on this decision and announcement for as long as possible to freeze the money and freeze the field. MR. SANGER: So tell us how that strategy plays out and if you’re another Democrat who’s been thinking about doing this, what do you do for the next 30 months? MS. IFILL: And when’s the last time that worked? MS. IFILL: Freezing the field. MS. WALTER: Freezing the field? I don’t think it does. And here’s what’s happening is if you talk to everybody in Joe Biden world, he’s running. He’s got his whole team together. They’re ready to go push the button. They know what they need to do. Martin O’Malley, the governor of Maryland, he’s got a very high-profile team put together behind the scenes, and then you see what he’s doing in front of the scenes as governor, pushing an incredibly progressive liberal agenda in Maryland. So he’s getting himself set up. So you’re not going to see the I’m doing a fundraiser here and I’m – but they have their operations in place and then when they can push the button, I think we’re seeing more and more that they may now – there is a need for candidates to raise the money, but there may be Super PACs that do it for them. MR. WESSEL: So what about Bill? Does she have to worry about him? He’s been out of the headlines pretty much, only doing things. MS. WALTER: He’s only doing good things and remember, he’s the most popular politician in – well, next to her, right – and his turned around has been – maybe even more. I mean, we all sat in focus groups during the campaign. And when the moderator would ask about political figures and would bring up Bill Clinton, everyone in the room – these are swing voters, these are Republicans, these are Democrats – oh, Bill Clinton, we love Bill Clinton. These were people who, you know, 10 years ago thought he was the worst thing to ever happen to the presidency. So he’s still riding on a lot of that. MR. WESSEL: Do you have any doubt that he wants her to run? MS. IFILL: I think he has said that he actually wants her to run. The question then is whether Republicans are watching as closely as the Democrats are. So we’ll talk about them, too. Thank you and especially thank you, Amy, for letting me break my promise to the viewers. I know. I know, you all – you’re sitting in your home, boy, that went fast. Well, yes, it did. But guess what, we’re launching a brand new feature tonight. As always, the conversation will continue on our “Washington Week” Webcast Extra. But in a few minutes, you’re be able to watch it powered live by Ustream. You can find us still talking at pbs.org/washingtonweek beginning right at 8:30 P.M. Eastern Time. We’ll see you there and all week on the PBS “NewsHour” and next week, right here, on “Washington Week.” Good night. We look at states tackling guns, King Abdullah’s visit, and the new White House Budget. More and more aspiring immigrants – especially Mexicans – are being denied visas based on determinations by the U.S.
3 min 15 sec ago. 3 min 26 sec ago. 4 min 19 sec ago. 4 min 28 sec ago. 8 min 27 sec ago. 15 min 37 sec ago. 17 min 52 sec ago. 18 min 19 sec ago. 19 min 2 sec ago.